This is a challenging and very exciting course that includes four training dives over at least two days. During your first open water dive you'll practice line handling, reel use and emergency procedures without entering a cavern. But, for your next three dives, you're headed into the cavern although still staying within the light zone. These dives are going to be conducted at the "Turtle Tomb" in Sipadan which happens to be one of the largest known coral caves in the world (only limestone caves are larger). Many cavern and cave divers are also Enriched Air Nitrox certified so that they can enjoy more time exploring underwater. 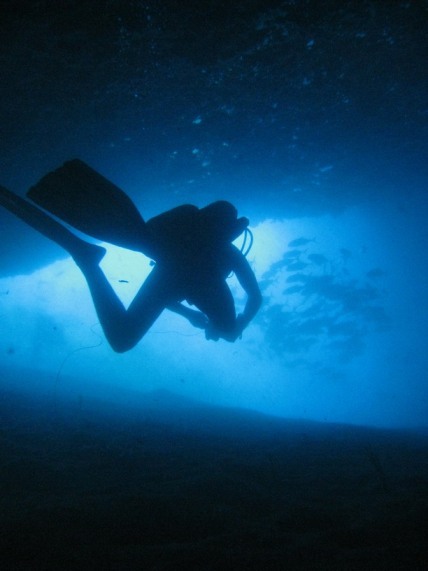 If you love cavern diving you may be interested in the PADI Tec Diving experience, which lets you try out basic technical diving equipment and skills to help you see if you want to learn more about going beyond recreational diving limits.